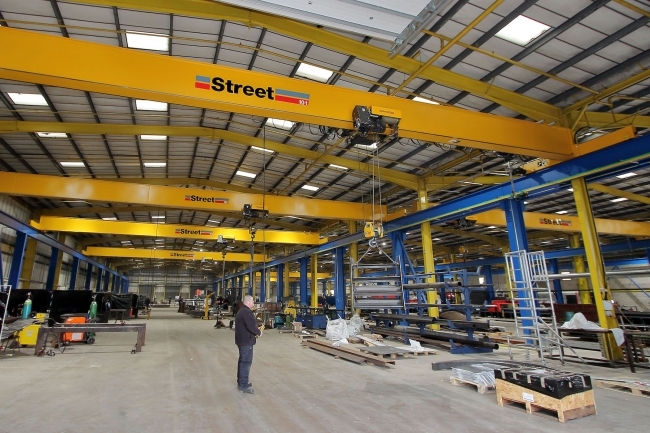 A new £6m manufacturing operation is benefiting from overhead lifting equipment supplied and installed by Street Crane. P.P. Group provides materials profiling, processing, fabrication and welding services across a vast range of industries in the UK. The company selected Street to supply and install 10 overhead cranes as part of its new 110,000 sq ft “Profiles Point” manufacturing facility, located in Oldham, Greater Manchester. The single girder cranes all have a lifting capacity of 10 tonnes and have been installed in each of the three bays. They are used 24/7 for loading and unloading vehicles and machines as well as the metal fabrication process. Ian McAllister, Group Operations Director at P.P. Group said: “In addition to our state-of-the-art profiling machinery, the Street cranes are a vital component of our new factory, enabling us to significantly boost our profiling and processing capabilities. Chris Lindley-Smith, Street Crane’s Sales Director added: “This is an impressive facility with an intensive production schedule. 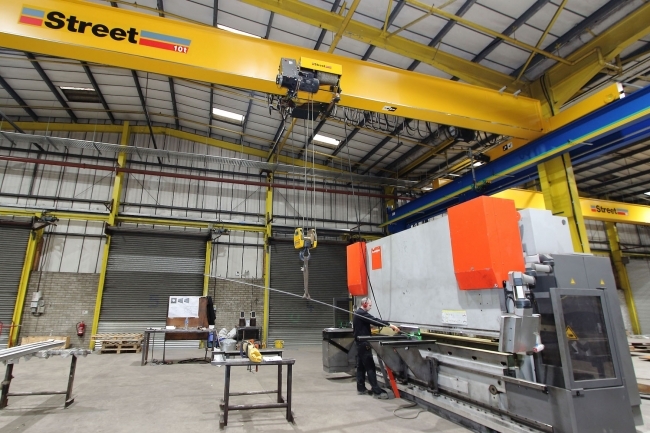 Overhead cranes are integral to its success, so we’re proud to have been able to provide P.P. Group with our latest pre-engineered cranes to ensure their lifting requirements are carried out as effectively and safely as possible.